Cookstown will get their Irish Senior Cup campaign started this Saturday with a tough away to Belfast Harlequins at 4pm. Although it will be Cookstown’s first game, it’s actually round three of the competition, and the Reds are not taking their Ulster Premier League opponents lightly. “This will be a really good test for us,” said Cookstown defender Matty Rollins. “I know they have had a pretty tough start to the league but that will just make Harlequins all the more keen to have a real go against us. “You only have to look at their 3-0 away win over Avoca in round two to see how dangerous they can be. We’ll have to bring our ‘A’ game to make sure we advance. 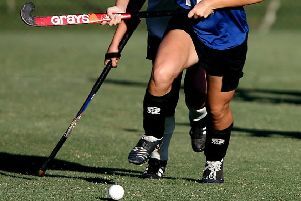 “We’ve had two really disappointing results, but two really encouraging displays over the last few weeks in the EYHL. Combined that with strong showings in the Kirk Cup, I think it sets us up nicely for Irish Senior Cup. Cookstown Ladies also begin their McConnell Cup on Saturday with the visit of Mossley to Steelweld Park at 2.30pm. 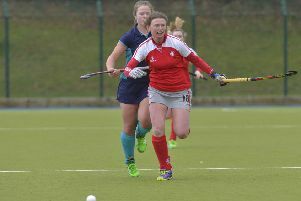 “This should be a really good match,” said Cookstown skipper Claire McCammon. “It will be a real test and really important for our development as a team. A good cup run could really set our season alight. We have to make sure that we defend hard and look for an opportunities to win the match. Cookstown IIs had a brilliant 4-2 win over Lisnagarvey II at Steelweld Park on Saturday. The two sides had played out a 1-1 draw in the League Cup earlier in the season but this time it was the Tyrone men who came out on top with two goals apiece from Callum Anderson and Steven Allen. Cookstown IIIs also had a brilliant victory. They were away to Raphoe II in Donegal but goals by Gary Bell, Stephen Cuddy and Paul Johnston gave them a resounding 3-0 win. Cookstown IVs were not so lucky, going down by 3-2 at home to Mossley III in Junior League 2.